Journaling at the end of each day is an extremely powerful ritual. It’s not about keeping a secret diary as many teenagers do but a mindful practice that truly can improve your life. It seems that the act of writing down your goals somehow increases your chances of achieving them, perhaps because when you write something down it feels more official and helps your mind focus. Writing involves both your analytical and logical left brain and your intuitive right brain and therefore allows you to use all your brain power to understand yourself better and the world around you. What did I learn about myself and others today? What can I do to make tomorrow even better than today? Then for the next 21 days write down your answers. You may write one sentence or dozens or sentences, it doesn’t matter how little or how long you spend journaling the crucial thing is that at some point in your evening you articulate your thoughts in writing about the two questions above. Some days if you are pressed for time you may simply prefer to speak into the recorder of your mobile phone and that’s fine as long as you focus your words on the two questions above. Try to answer as honestly as you can. If some things feel hard to write or say and share with yourself refer to yourself in the third person. We all have dark days sometimes. Don’t feel that you always have to be bright and upbeat in your journal all the time because then it would not be honest and the true power of journaling lies in its honesty. Use your journal time to explore this darkness instead and release difficult problems and emotions and you might find light within yourself as you do. You may be wondering if social media, Facebook, Twitter and so on is equivalent to journaling and my recommendation here would be to keep your journaling separate from all that unless you truly feel ready to share with your friends the secrets and mysteries of your inner world. For a true sense of self there are some things that should be kept sacred and personal to you and to you alone. If you share everything about yourself with others you run the risk of completely losing yourself in others. You are like a reed blown in the wind. Journaling reminds you that powerful people with a sense of strong identity have that inner strength because there is a part of themselves that they keep private or just for them. They don’t need validation from others for absolutely everything they say, do and think. They know and trust their own mind, heart and spirit. Journaling is a ritual with deep personal meaning because it helps you learn about yourself and when you learn about yourself you grow. It is paying attention to what is within you for the purpose of living well from the inside out. To make it a successful ritual commit to the practice for a minimum of three weeks and keep your focus on the two questions listed above as they are extremely effective in helping you grow personally. You don’t have to be a writer to keep a journal and remember it has been proven to improve clarity and perspective and to reduce stress and to be a key ingredient in achieving goals successfully. 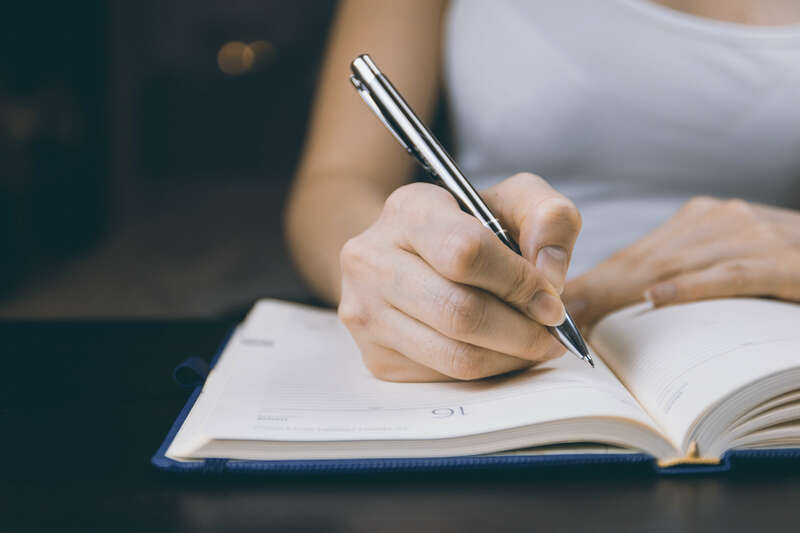 In short, journaling is an amazing personal development tool and it can significantly increase your overall well-being and levels of happiness, success and enlightenment. Discover more daily rituals in my Sunday Times Bestseller 21 Rituals to Change Your Life. If you enjoy my books I’d be so grateful if you left a review on Amazon. Thank you. Get in touch on Instagram, Facebook or Twitter, I’d love to hear from you!